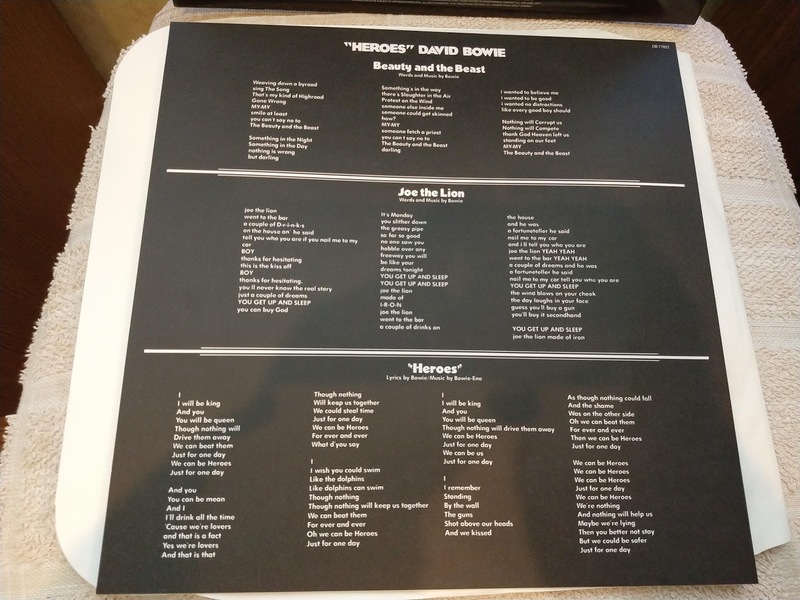 I was very pleased eventually to replace my very old and worn out Heroes LP with this new remaster on 180g Black Vinyl with lyrics sheet inside. It's a fabulous album, just at the right time for me, in my formative years back then. The whole Berlin thing is fascinating to me and music enlightening. There's obviously the hit single title track, but so much more for those willing to open their ears! Some of the experimentation with sound and vocals is quite superb and innovative, particularly on Side 2. Recommended for those who are open-minded. 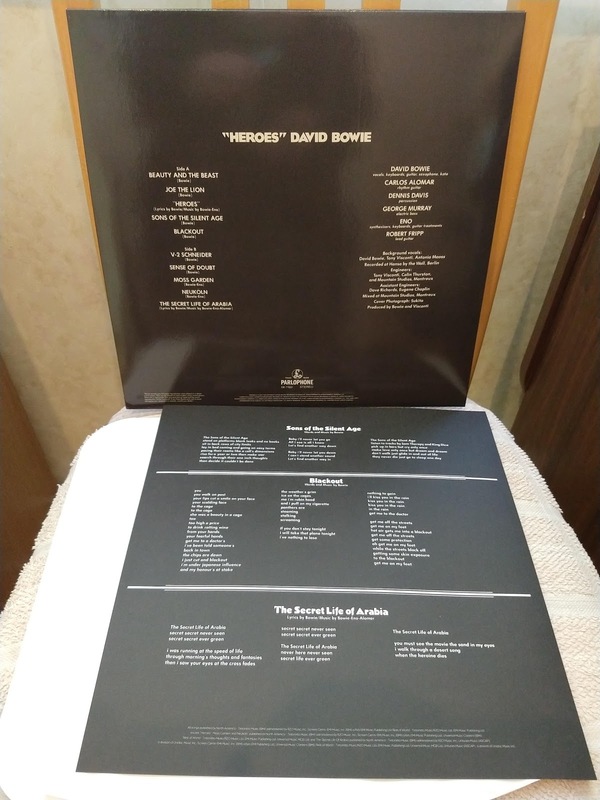 Heroes is the 12th studio album by David Bowie, October 1977. 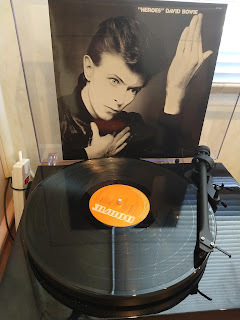 This second installment of his Berlin Trilogy recorded with Brian Eno and Tony Visconti, continued the ambient experiments of his previous album Low and featured the contributions of King Crimson guitarist Robert Fripp. 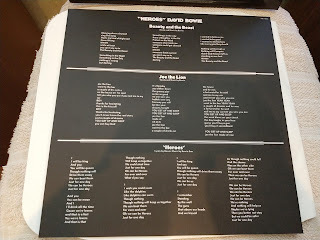 Of the three albums, it was the only one wholly recorded in Berlin.